If you want to live in Quebec permanently you should apply for this program. 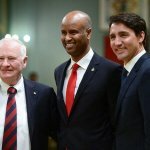 Canada is made up of different provinces and each one has their own rules and laws, especially on immigration. Quebec is one of those provinces which offers their own immigration programs, such as the Quebec Skilled Worker Program (QSWP). This program allows internationals who have skills which match the needs of the province to apply for Quebec immigration, and if selected, become permanent residents of Canada who live in that province. This article will go through the requirements and the process of becoming a Quebec Skilled Worker. What is the QSWP immigration? The Quebec Skilled Workers Program is an immigration program based only on Quebec. Only people who want to live in Quebec permanently must apply for this program directly because the application is evaluated based on the rules of the province. If selected, you will be able to find a job and housing in Quebec and continue to live there. 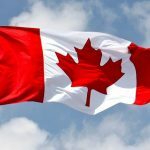 You will be considered a Canadian permanent resident and get all the benefits that are entitled to you. In addition, after a few years, you will be able to apply for Canadian citizenship and get a Canadian passport. What are the requirements of the Quebec Selected Skilled Workers Program? In order to make the application process fairer, Quebec has designed their requirements and selection factors based on a grid of points. When you apply, you will be assigned Quebec immigration points, which will rank you in comparison to the other applicants. Those who have the highest points are then selected. The selection factors considered are education, work experience, age, language proficiency, family in Quebec, spouse or common-law partner points, job offer, age of children, and financial standing. The tables below show each factor and how many points you can get. From all of these criteria, to get to the cutoff for employability, you must either have 43 or 52 points. If you do not have these points, you will not be considered. In addition to the cutoff for employability, the province of Quebec takes also into account the age of children if you have any and financial standing. At the end of the evaluation, in order to get a passing score at the preliminary and selection phase, you must have at least 50 out of the 59 points. To be considered financially stable, you must have these sums of money for the three-month period after arriving in Quebec. How to apply for the Quebec Selected Skilled Workers Program? In order to apply for this program, there are a few steps as outlined below. To get this certificate, you must first submit an Expression of Interest to immigrating in Quebec. This can be done through submitting an application with your information on the Arrima portal. Your expression of interest will be valid for 12 months and if you are not contacted by the Quebec immigration officials during this time, then you must submit your profile again or it will be invalid. If the Quebec immigration officials choose your expression of interest, then you are invited to apply for permanent selection. This means that the officials will send you a personalized list of what information and supporting documents they need. You will also be asked to pay the application fees. You will have 90 days to complete the requirements or your application will be lost. After you submit all the required documents, the Quebec immigration officials will evaluate everything you submitted based on the points system that was outlined in the previous section of this article. Finally, you may either get immediate approval, immediate rejection, or an invitation for an interview. If your interview is then successful, you will either get the Certificate of Selection or you will be rejected. If rejected, you will have to start the application from the beginning. The Quebec province has the authority to select skilled workers which will contribute to the economy of Quebec with their skills. 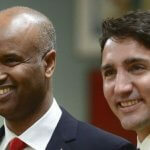 However, the Government of Canada is responsible on whether to issue permanent residence or not to those skilled workers. So after passing phase one and getting the Certificate of Selection from Quebec, you must be approved for permanent residence from the Government of Canada. After you submit your complete application, you may be asked to give biometrics information, hold an interview, complete medical examinations, or send additional information. 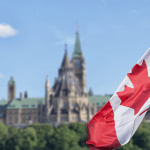 If the Government of Canada finds that you are admissible and fulfill all the criteria to become a Canadian permanent resident in Quebec, then they will send you a Confirmation of Permanent Residence (COPR) and permanent residence visa. All in all, the process to become a Quebec Selected Skilled Worker will take approximately 17 months. Afterwards, you can start making arrangements for travel and housing in Quebec, where you will be settling down.